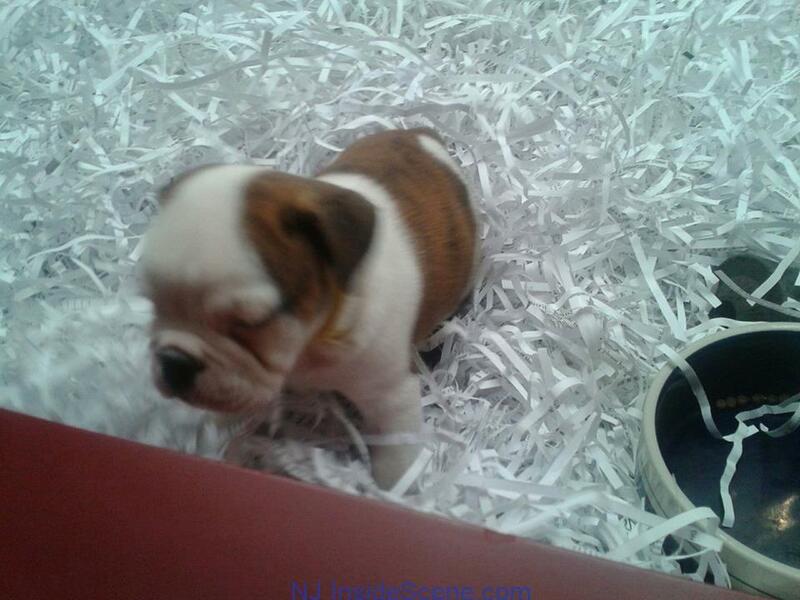 A photo of the English Bulldog puppy stolen from Pet Pourri on Nov. 26. Photo courtesy of Pet Pourri. This was a question a pair of thieves did not ask, before taking an English Bulldog puppy from the Pet Pourri in the Rockaway Mall, the Tuesday before Thanksgiving, Nov. 26. The currently unidentified thieves lifted the dog, a male and only eight weeks old, from one of the store’s windows, while a store employee was occupied helping a customer who asked to see two other dogs from the window area. “They waited for the right moment, looked in the window, then took off,” said Colleen Best, one of Pet Pourri’s owners. Gerald Barry, the other owner, said he was suspicious of a tall young man in the store, wearing a red sweatshirt. The store does not have surveillance, and Barry said that they notified the Rockaway Township Police immediately, after he noticed the door to the window area was unlatched. “One of the people who works at the kiosks [within the mall] saw two tall kids walking out,” Barry added. One of those individuals, was the person in the red sweatshirt. The puppies at Pet Pourri, Barry said, have regular vet checks, and the store’s veterinarian had concerns that this particular dog might have been coming down with a respiratory issue, and decided to start him on medications. The vet check occurred shortly before the dog was stolen, and he was also not going to be for sale once it was learned of his health issue and until it was resolved. Instead, the store owners planned to move the dog from the window to another area, while under treatment. “Our concern is to get the puppy back safely,” said Barry. Barry said that the perpetrators could simply call the store as well, or bring the dog back. Barry said his store often takes heat from those concerned his puppies may come from puppy mills (which he said they do not and they also learn about the parents of each puppy in the store), and that some have commented negatively about the puppy’s disappearance. Barry said that he is a dog owner himself, and owns four, including dogs from rescues. He also said when pets are purchased from his store, the store provides full disclosure on care, especially if a puppy is to come down with a respiratory issue. “We love our puppies, and our number one concern is our puppies, our customers, and those who work for us,” Barry reiterated. The Rockaway Township Police Department is investigating the incident. Captain Martin McParland from the department spoke with NJ Inside Scene, and advised that the store declared the baby Bulldog with a value of $3,000. The law in New Jersey, he said, views animals and pets as “property,” and the theft of this dog is considered shoplifting, and is indictable due to that dollar amount. “It’s considered a third-degree crime,” McParland said. McParland said, unfortunately, theft is especially common this time of year, as well in the more trying economic times in the U.S. Some pet thefts, McParland said, can occur when parents are financially struggling and still would like to obtain a pet for their child, and do so by taking the animal from a store, or even from someone’s yard or car. Other times, those who steal pets do so for the resale value (as that is, of course, not just limited to pets – NJ Inside Scene received a report from the Franklin Borough Police Department – click here – of a person arrested for reselling stolen jewelry this past Sunday). Another scenario, sadly, that can occur with the theft of small animals, such as puppies, is there are those that steal dogs, may take them for bait for dog fighting. McParland said, if the Bulldog puppy does, first, have a medical condition, and is not taken to the vet for care by the perpetrators, or is harmed in any other manner, Patrick’s Law, which was signed in effect by Gov. Chris Christie on Aug. 7, 2013, calls for stiffer penalties for animal abusers, may also kick in. That can call for large fines and potential jail time. Anyone with any information on the puppy’s disappearance can contact the Rockaway Township Police Department at: (973) 625-4000. McParland also said that the Morris County Sheriff’s Crimestoppers is another way the crime can be reported, anonymously. Click here for the Crimestoppers’ website, to submit a tip, including by a secure and anonymous text, or call: (973) 267-2255, or 1-800-SHERIFF (800) 743-7433. Morris County Sheriff’s Crimestoppers may also provide cash rewards for crimes reported to their agency. 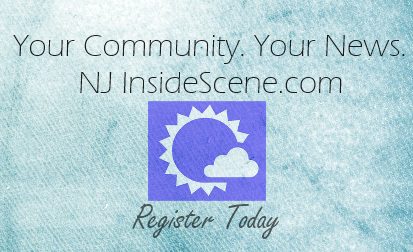 Stay on the “inside scene,” with news happening around our area, and click here to follow us on Facebook!